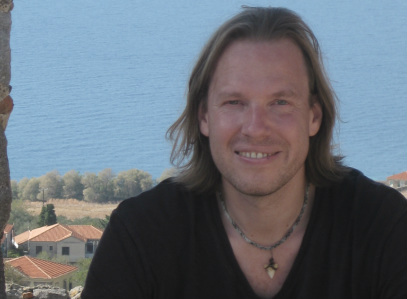 I’ve written quite a bit on the theme of human enhancement on this blog. Last summer I did a series on Nicholas Agar’s book Humanity’s End, a couple of posts on Allen Buchanan’s book Beyond Humanity, and more recently I did a series on enhancement in education and sport. All of these posts dealt with the ethics of human enhancement. Is it a good idea to enhance human capacities beyond the current limits? Is this a no-brainer? Are there in principle or in-fact objections to enhancement? And so on. If you’re interested in pursuing these questions, but aren’t quite sure where to begin, then I would recommend checking out the book Human Enhancement, edited by Nick Bostrom and Julian Savulescu, which is today’s book recommendation. There’s not a whole lot to say about the book itself. 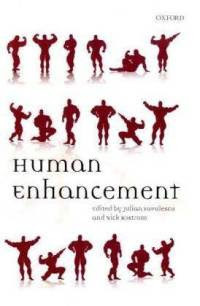 It’s an edited collection of essays on the ethics of enhancement; it’s published by Oxford University Press; and it features contributions from some of the leading authors in this area (Bostrom, Harris, Sandel, Caplan, Singer, Hanson, Sandberg to name but a few). As with all edited collections, the quality can be patchy, with some essays being more thoughtful and better written than others. The particular highlights for me were John Harris’s “Enhancements are a Moral Obligation”, which is a good summary of Harris’s basic case in favour of enhancement (as well as being a response to another author within the same volume); Sandel’s “The Case Against Perfection”, which is a good summary of his (I think odd) argument against enhancement; and Savulescu’s “The Human Prejudice and the Moral Status of Enhanced Beings”, which is a representative sampling of Savulescu’s thinking on these matters. The lowlights were not particularly low, but present nonetheless. Frances Kamm’s essay “What is and is not wrong with Enhancement?” being a particularly annoying entry. While Kamm has many strengths as a philosopher — a relentless commitment to an intuition-led method of moral philosophy being one of them — I’ve never found it pleasurable to read anything she has written. Maybe some day that will change, but her contribution to this volume was, alas, too much of a drudge for my liking. Although I do recommend this book, I am aware that there may be a better edited collection, dealing with the same topic, in existence by now. Savulescu, Meulen and Kahane last year released Enhancing Human Capacities which looks to be a more comprehensive tome. But since I haven’t had a chance to peruse a copy of that tome yet, I’m not in a position to recommend it.